While Ohio has lost much of its presettlement landscape, many nearly pristine habitats remain. These relics are populated by a fascinating array of flora and fauna. 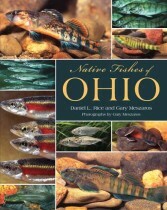 Wild Ohio singles out the best of Ohio’s natural lands and documents their importance in words and photographs. Because the state has lost over 90 percent of its wetlands and over 99 percent of its original prairie, Wild Ohio focuses especially on rare and declining animals and plants with the intention of inspiring a love of nature and an interest in conservation. 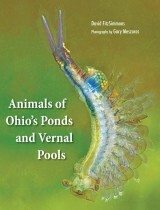 The authors feature approximately forty sites, encompassing nearly every type of habitat found in the state and representing all regions of Ohio. Naturalist Jim McCormac’s descriptive text provides an overview of each site and tips for visitors. Gary Meszaros’s stunning photographs highlight the visual beauty of each area’s flora, fauna, and landscape. Every section includes a description of the physiographic province and a map of the sites. 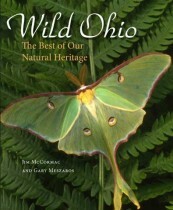 A celebration of what still remains and a reminder of what has been lost, Wild Ohio will be appreciated by anyone with an interest in Ohio’s natural history and landscape. Jim McCormac is the author of Birds of Ohio (2004). He writes a nature column for the Columbus Dispatch and has been widely published in popular nature periodicals, including Bird Watcher’s Digest. He is an avian education specialist with the Ohio Division of Wildlife. Gary Meszaros, a retired schoolteacher, has been a dedicated nature photographer for more than twenty-five years. His photographs have appeared in many publications, including Smithsonian, National Wildlife, National Parks Magazine, Natural History, and Timeline.